One of the fundamental questions many people have about Bitcoin revolves around the tokens themselves. Questions about its value, security and history, all eventually lead to one place: Where do bitcoins come from? While traditional money is created through (central) banks, bitcoins are “mined” by Bitcoin miners: network participants that perform extra tasks. Specifically, they chronologically order transactions by including them in the Bitcoin blocks they find. This prevents a user from spending the same bitcoin twice; it solves the “double spend” problem. Skipping over the technical details, finding a block most closely resembles a type of network lottery. 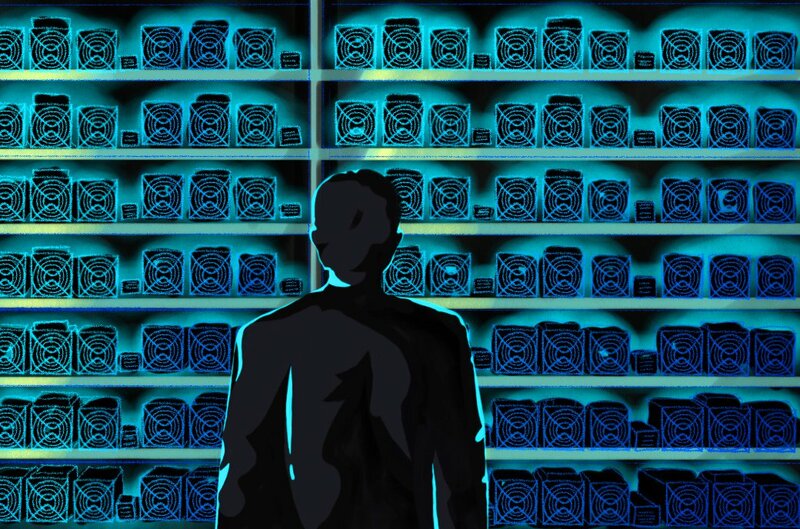 For each attempt to try and find a new block, which is basically a random guess for a lucky number, a miner has to spend a tiny amount of energy. Most of the attempts fail and a miner will have wasted that energy. Only once about every ten minutes will a miner somewhere succeed and thus add a new block to the blockchain. This also means that any time a miner finds a valid block, it must have statistically burned much more energy for all the failed attempts. This “proof of work” is at the heart of Bitcoin’s success. For one, proof of work prevents miners from creating bitcoins out of thin air: they must burn real energy to earn them. And two, proof of work ossifies Bitcoin’s history. If an attacker were to try and change a transaction that happened in the past, that attacker would have to redo all of the work that has been done since to catch up and establish the longest chain. This is practically impossible and is why miners are said to “secure” the Bitcoin network. In exchange for securing the network, and as the “lottery price” that serves as an incentive for burning this energy, each new block includes a special transaction. It’s this transaction that awards the miner with new bitcoins, which is how bitcoins first come into circulation. At Bitcoin’s launch, each new block awarded the miner with 50 bitcoins, and this amount halves every four years: Currently each block includes 12.5 new bitcoins. Additionally, miners get to keep any mining fees that were attached to the transactions they included in their blocks. Anyone can become a Bitcoin miner to try and earn these coins. However, Bitcoin mining has become increasingly specialized over the years and is nowadays mostly done by dedicated professionals with specialized hardware, cheap electricity and often big data centers. To mine competitively today, you need to know what you’re doing, you must be willing to invest significant resources and time, and — last but not least — you need access to cheap electricity. If you have all of this, you too can give it a shot and become a Bitcoin miner.